Today I wanted to share a previous Halloween post that I did last year. 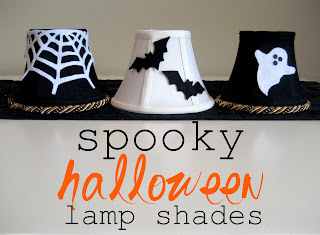 It's a quick and easy way to add some Spook to your Space! I have seen themed chandelier lamp shades in many magazines and am always blown away by the price. I decided to try making some of my own and discovered that felt sticks to the material of the lamp shades. As in no gluing and no sewing! A craft-iracle! Let's go! I first start by doodling. 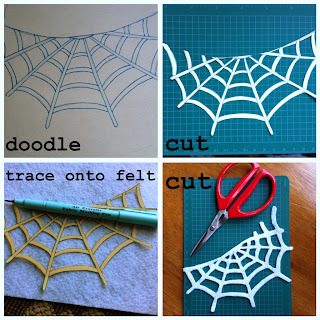 Once the idea is drawn, cut it out so that you're able to make a stencil. Trace it onto the felt and cut your design out. Here's a tip for tracing onto a dark color: Trace the outer edge with chalk. Once the pieces are cut simply press them onto the lamp shades. 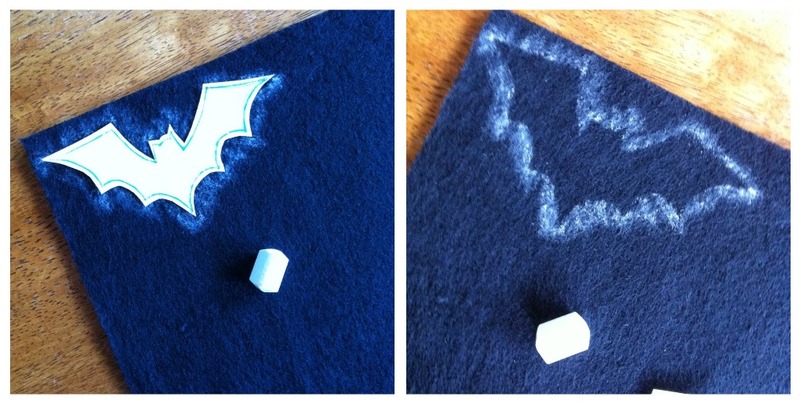 For the ghost's eyes, I used a paper punch to punch 3 circles and used a glue stick to adhere them. Think of all the possibilities for! Such a simple idea that makes quite the impact. I know some of you are still weekending and I'm jealous. For some reason we do not get off for Columbus Day. If you do, enjoy and make the most of it! For the record I still don't have any Halloween decor up ...I'm such a slacker this year. BTW-Jack said last night on the ride home from football practice that it would be great if you could move here. He said there's a house right by us so it would be perfect...Can you work on that? This is heartbreaking. My poor decor-less niece and nephew. Get on it! 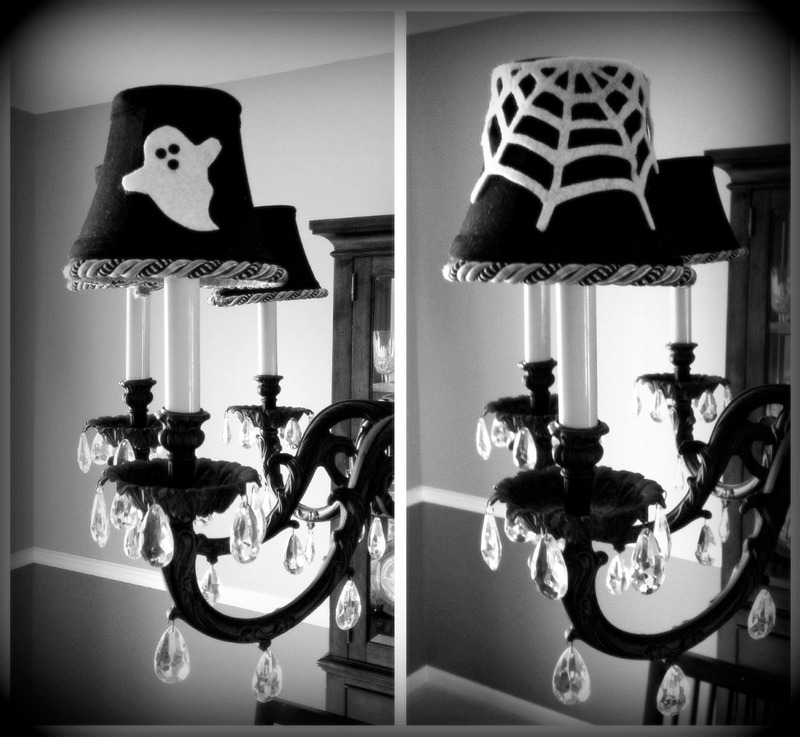 And if you're not going to then send me your big spooky house - I have the smaller one and the large one would look fantastic on my sofa table! Ha! That Jack is always thinking! I love it! Wish we could then I'd come over and decorate for you!